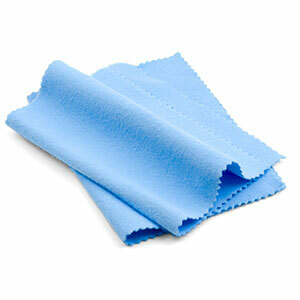 These Polishing Cloths are soft and effective, with special non-scratch micro-abrasives. Use for stainless steel, titanium, solid gold or sterling silver. Do not use on gold plated items. Removes tarnish, fingerprints, oils and grime. A must have if you want to keep your jewelry looking brilliant! Contains two polishing cloths each in its own polybag.